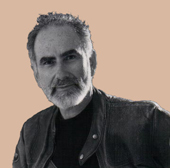 Mitch is the author of three novels, The Seventh Telling: The Kabbalah of Moshe Katan and two sequels, The Thirty-third Hour and Blood Covenant. The Seventh Telling, published in 2001 by St. Martin's Press, was a Los Angeles Times bestseller. His story collection, The Curse of Blessings, has been translated into German, Korean, and Mandarin. His most recent publication is a digitally formatted novella, White Fire, available on Amazon-Kindle and other digital readers. For twenty-two years beginning in 1980 he was the director of the Havurah of South Florida, a non-denominational fellowship that created programming to fill the interstices between synagogues and other established Jewish organizations. The Havurah offered a variety of opportunities for learning of Torah, Talmud, and Jewish spiritual discipline (Kabbalah) in an egalitarian setting. In 2002 Mitch returned to the active rabbinate to serve Temple Israel of Greater Miami. After five years as rabbi, he continued for another seven as scholar-in-residence before retiring to his study in Coconut Grove, where he continues to learn and write. Mitch has served as chairperson of the National Havurah Committee, editor of a nationally syndicated weekly Torah column, and is a frequent teacher at Havurah institutes, rabbinic conferences, and other gatherings with a focus on Jewish renewal. He teaches on topics related to Jewish spirituality, alternative religious community, and Jewish family education. He is a past-president of the Rabbinical Association of Greater Miami. His ordination is from Hebrew Union College - Jewish Institute of Religion (New York, 1975). Before his work with the Havurah, he was associate rabbi at Temple Beth Am in Miami. Prior to his rabbinic studies he was a line officer in the US Navy, with service aboard destroyers in the waters off Vietnam, and later in the Mediterranean during the Six Day War. Rabbi Chefitz did his undergraduate work at MIT and the University of California at Berkeley.